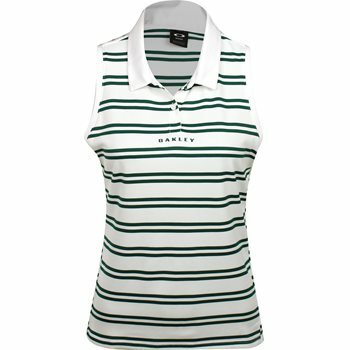 Oakley’s Enjoy Striped Golf polo offers sleeveless construction for easy swing motion. The engineered stretch fabric also ensures movement with ease and a comfortable fit. You will be comfortable with lightweight fabric as well. The fabric is also breathable to keep the skin ventilated. It is made with polyester, offering durability for machine washing and resistance against shrinking and wrinkles. Design details include all over stripes with a solid collar, a two button placket, and logo branding at the front and back.